We are one among the top SEO companies in Kerala and we practice Google white hat SEO methods. We seek to understand your business requirements and strategize to ensure that your company derives the maximum mileage from your online presence. Search Engine Optimization for Better Visibility! SEO-Search Engine Optimization is the skill of increasing a website's visibility through a wisely planned keyword implementation strategy. SEO is a long -term marketing strategy that can help you to expand your market reach and build a trustworthy relationship with your clients/customers. Our SEO services in Kerala includes market research, keyword research, content optimization, page speed optimization and link building. Through these elements businesses are opting for the best marketing campaign through which they can get wanted results. When it comes to building your brand the most important thing is to convey your message and promote your business and services in a positive manner. This can help you reach more potential customers/clients and generate leads. Search Engine Optimization is an integral part of any web development-however if poorly created and realized it can do more damage than good. It's imperative to have a well developed SEO strategy because your website's visibility depends on a good SEO implementation. 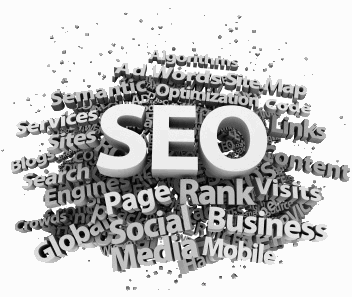 SoftHues will help you understand the benefits of SEO- Search Engine Optimization and web marketing in general. We are proficient in the field of SEO- Search Engine Optimization and we will develop a custom SEO campaign. SoftHues SEO Company Kochi will do keyword research and phrases and find the best possible solution for your company/business/corporation/individual needs. We understand the importance of a smart implementation and usage of keywords - we will integrate the perfect SEO solution and in that way help you to represent your services/products to your target audience and accomplish recognition on a global level. Our SEO -Search Engine Optimization solutions will most certainly increase your profit, improve your website's traffic and in general help you to understand the market and through this understanding to determine your next business move.